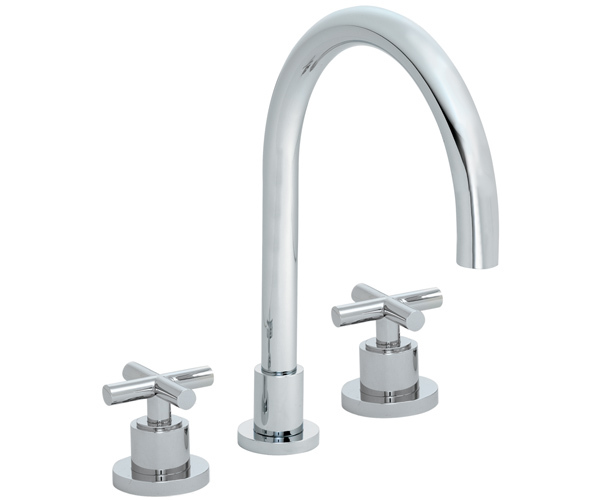 Tiburon curving spout and cylinder bases with cross handles combine create a striking, modern design statement. 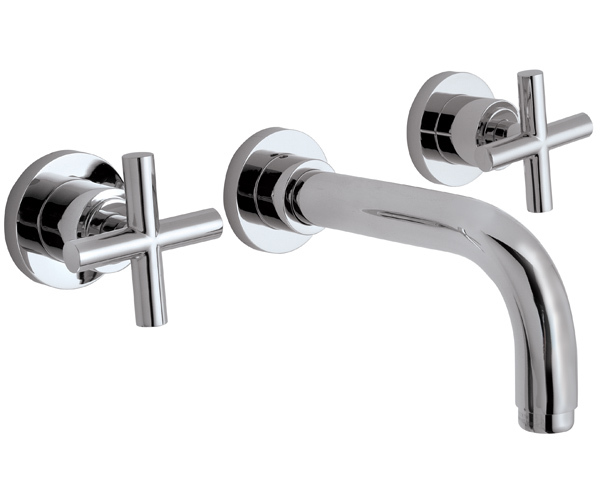 This series offers a full range of bathroom faucets for the sink, tub and customized showers. Bathroom accessories are also included. 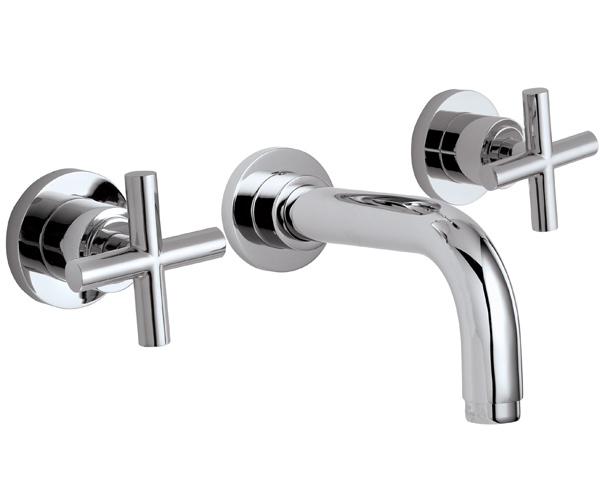 Choose from over 30 California Faucet finishes. 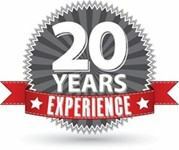 Including PVD faucet finishes with a lifetime warranty. 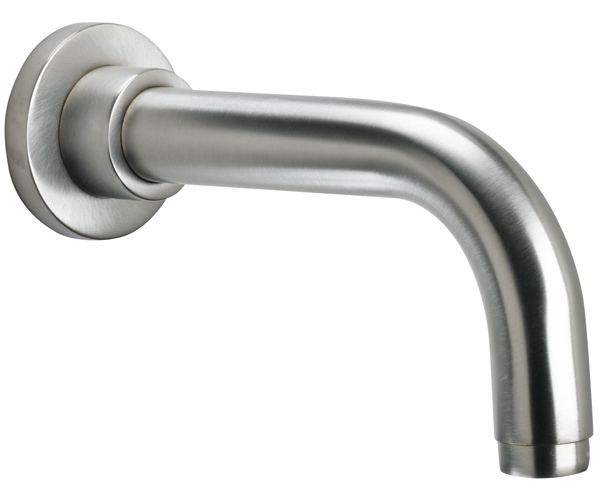 Tiburon handles are available on the tub fillers shown below. Click on picture for more information. 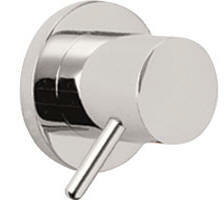 Consistent with their goal to give you what you want, California Faucets offers a large selection of shower controls. This includes both pressure balance and thermostatic. 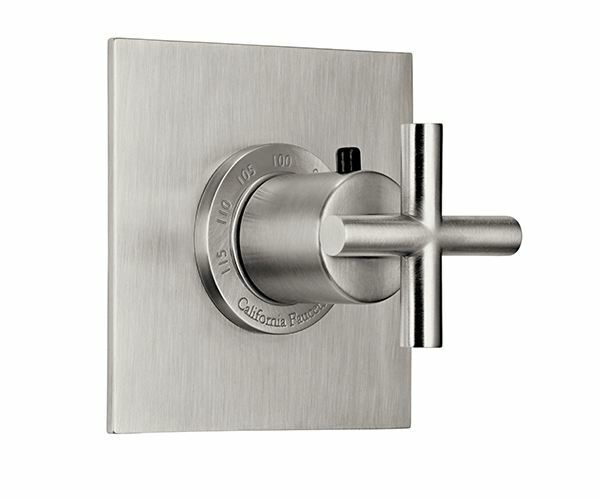 The thermostatic is offered as a 3/4" control which requires separate stop controls (volume controls). 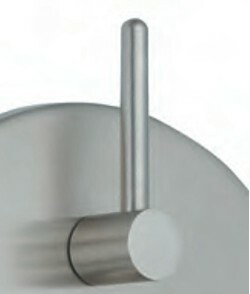 With their StyleTherm thermostatic the connections are 1/2" with choice of integral diverter or volume controls. Look for CALGreen for water conservation selections. 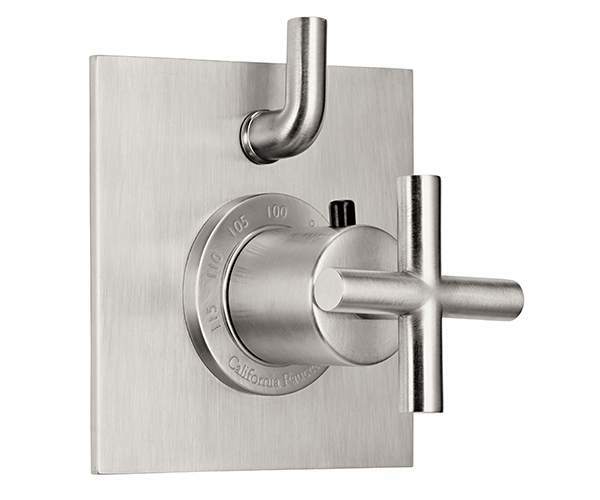 Top outlet features diverter with dual volume controls. Full-off at 12 o'clock position; quarter-turn left or right to open each outlet. 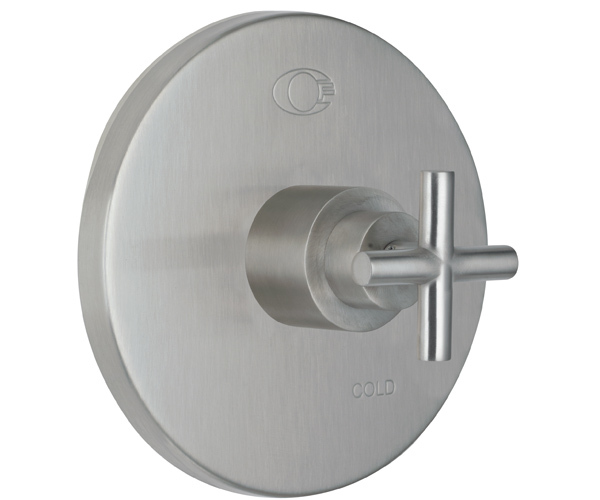 Lower outlet features single volume control. This thermostatic control requires a thermostatic control to set the water temperature and stops to control the water pressure for each function. 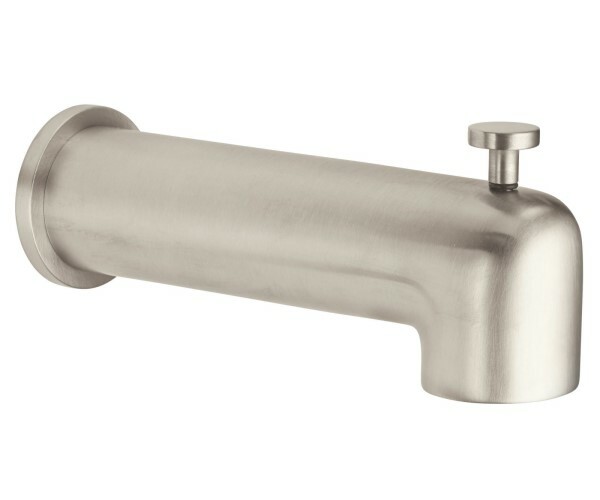 Diverters can be used with a stop to divert the water flow from one function to another. The thermostatic control (above) sets the temperature, a stop valve (volume control) is need to turn the water on & control the water volume. One stop valve is needed for each function, or a combination of stop and diverter. Stop valves are also available in 1/2" and 3/4". 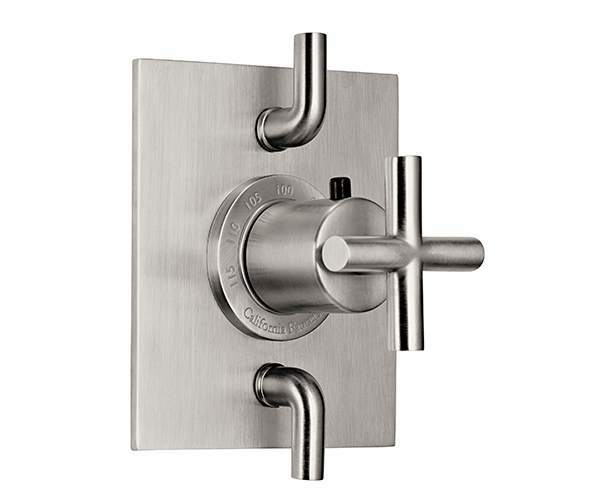 Diverters are offered in Non-shared and Swivel Port. 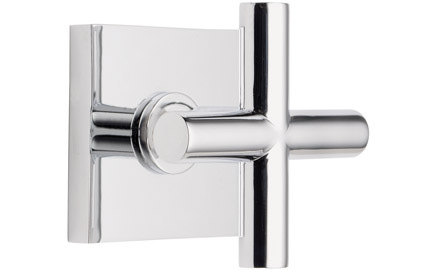 Create a custom shower with California Faucets shower heads, arms, hand showers and body sprays. 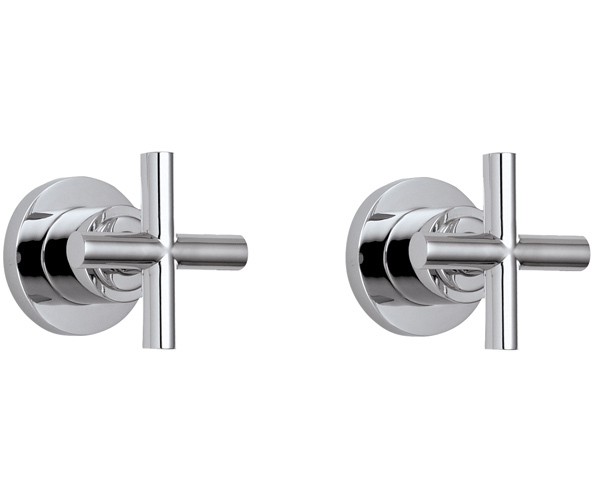 Matching hand shower sets are listed. Use the links to find your perfect showerhead or shower drain. 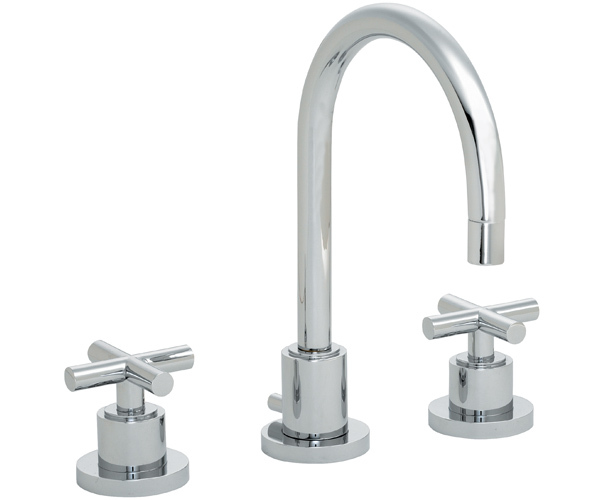 Unlike much of the mass produced fare that floods the market today, each California Faucet fitting is custom made. 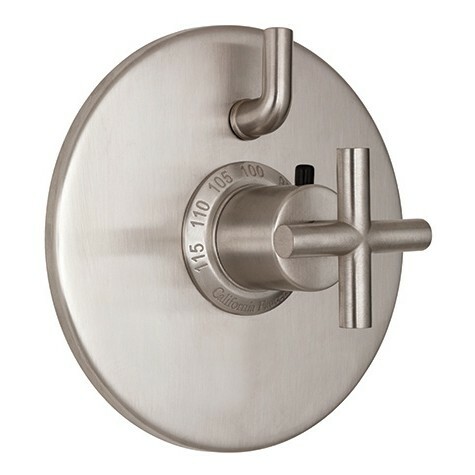 Starting with good old-fashioned craftsmanship featuring solid brass construction, they add state-of-the-art ¼ turn ceramic disc valves with lifetime warranties, the world's largest offering of decorative PVD finishes and quality controls that meet or exceed government codes, including national and local lead-free and water conservation standards.